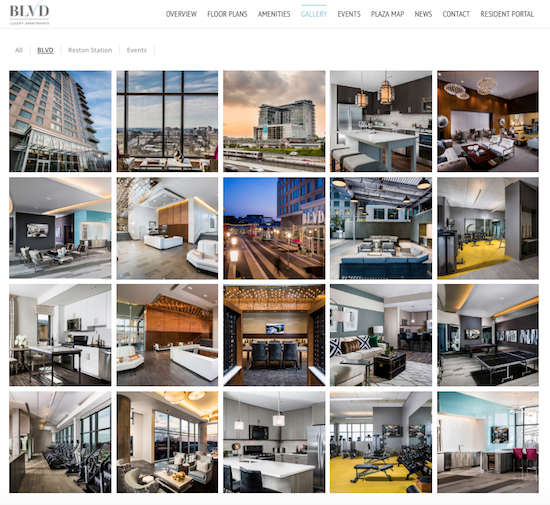 There are some new apartments in town, and they’re called BLVD Residential at Reston Station. One guess where they’re located. I have to say, they look very nice based on those pictures in the development’s web gallery. The developer is Comstock. This mixed-use development has 450 apartments and is located directly adjacent to the Wiehle-Reston East station. Units are luxury studio, one, two and three bedroom + den apartments. All feature top-of-the-line amenities like gorgeous wood cabinetry, stainless steel appliances and quartz countertops. Click here to see the floor plans. While the building does not fall within Reston Association’s jurisdiction, BLVD Residential is the first building to be brought into Reston Association through a supplemental declaration. What this means to residents is that they will have access to RA programs and services at alternative rates compared to other members. And design review for the property will be conducted with support from Reston Association staff using urban design guidelines developed for Reston Station.